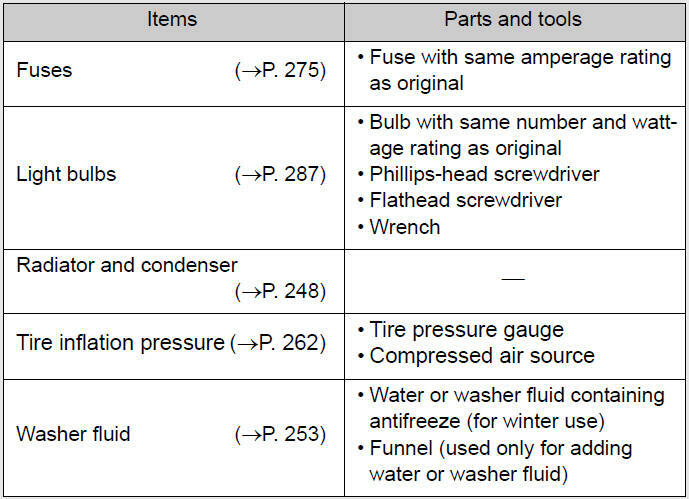 If you perform maintenance by yourself, be sure to follow the correct procedures as given in these sections. ●Keep hands, clothing and tools away from the moving fan and engine drive belt. 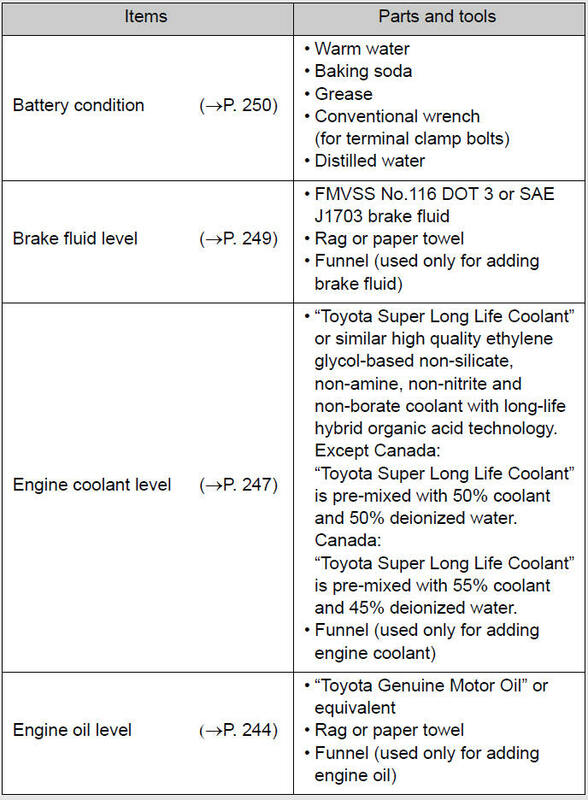 ●Be careful not to touch the engine, radiator, exhaust manifold, etc. right after driving as they may be hot. Oil and other fluids may also be hot. ●Do not leave anything that may burn easily, such as paper and rags, in the engine compartment. ●Do not smoke, cause sparks or expose an open flame to fuel or the battery. Fuel and battery fumes are flammable. ●Be extremely cautious when working on the battery. It contains poisonous and corrosive sulfuric acid. Wear safety glasses to prevent flying or falling material, fluid spray, etc. from getting in your eyes. Driving with the air cleaner filter removed may cause excessive engine wear due to dirt in the air.